It begins as a day like any other. However, in a heartbeat, everything changes... Today, we learn we arent alone in the universe. Governments cease to exist. Borders disappear. 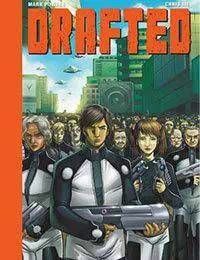 Old hatreds are forgotten -- and the people of earth, finally united as one, are drawn into a conflict of unimaginable proportions... Today, WE HAVE BEEN DRAFTED!